Integrated multi functions with power sockets, phone jacks, computer interface, LAN jacks etc. Cotytech e-Manager saves desktop space for your office, home, kitchen and anywhere you want this multi function tool to make your work and life more in style with ergonomics. 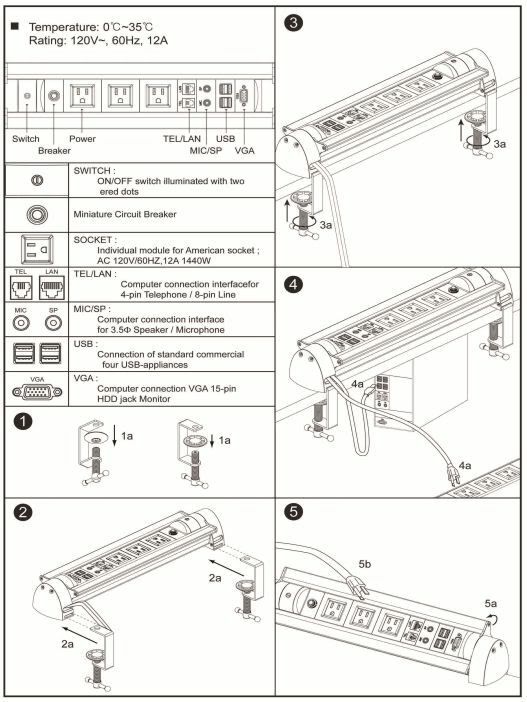 The e-Manager is not limited by its slim design, by providing power switch, miniature circuit breaker, three power sockets, telephone and LAN jacks, computer interfaces for USB, VGA, microphone and speaker. Cotytech e-Mamanger is a powerful partner to make your space more neat and organized.